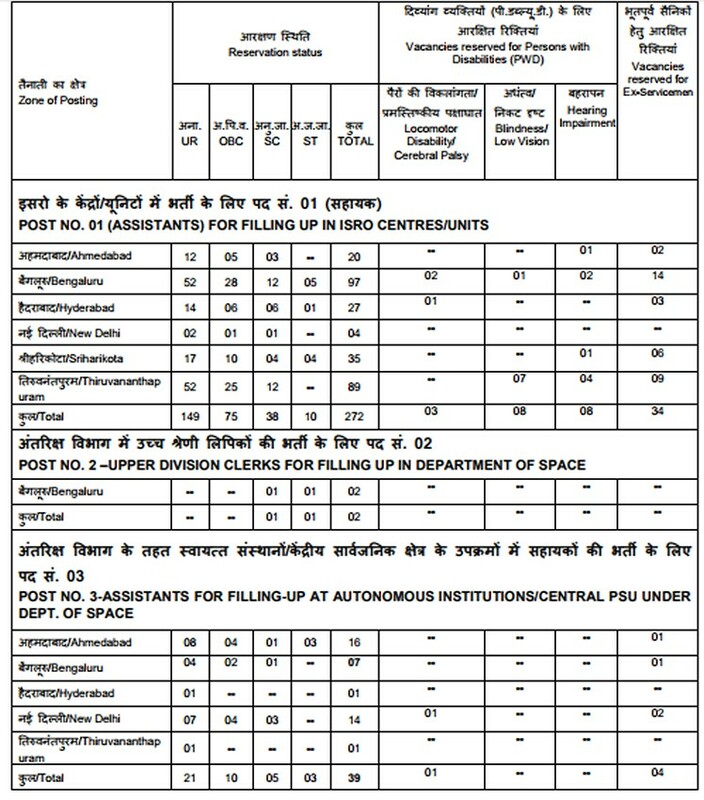 Indian Space Research Organisation (ISRO) of the Department of Space (DOS) invites applications from young, dynamic and dedicated candidates for filling-up the posts of ASSISTANTS (administrative support staff) and Upper Division Clerks in the Level 4 of Pay Matrix in CCS (RP) Rules 2016, for filling-up in various ISRO Centres/ Units / Autonomous Bodies /CPSUs, across India.Ref ADVT. No. ISRO HQ:ICRB:03:2017 dated 11.07.2017. Pay Scale : Rs.25,500/- p.m.
Graduation in Arts/Commerce/ Management/ Science/ Computer Applications with First Class, as declared by the University. Knowledge in the use of Computers. For Further Details visit the Indian Space Research Organisation (ISRO) website and go through the Official Notification before applying for the post.